The GP1 series of grips offer maximum comfort and the best possible pressure distribution. They feature a forged alu clamp for fast and secure installation. The support platform is individually incrementally adjustable for the correct hand angle by simply turning the grip. These fix very securely to the bars, look and feel great, very supportive. Top marks! 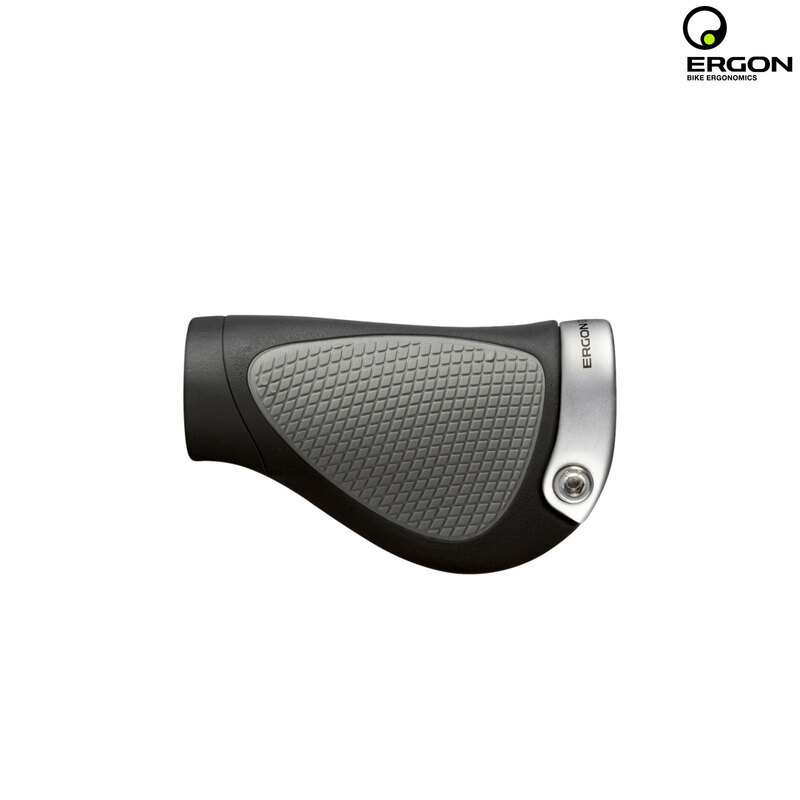 I have had problems with preassure on N. Ulnaris using traditional grips but "Ergon Rohloff Grips" is a great help to prevent this problem. This grips fits tight and stays in position without sliding in rain and cold. These are really great. Very comfortable and good looking.